The now famous DIY Machine Translation solution, released in 2011, automated learning and customized translation engine creation, plus the ease of use of translation engine retraining have been key factors in the choice of Pangeanic as an innovative ICT company. 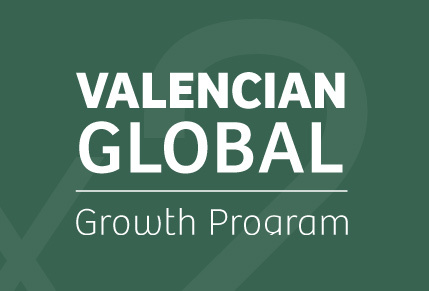 The Valencian Global Program will be responsible for providing the full management program of training, international coaching, linking up to MIT and the U.S. market. The program is financed by IVF with up to € 200,000 for all expansion and marketing phases of machine translation technology and related services. The launch of the API to Pangea Machine Translation engines in 2012 made automatic translation service more accessible, with very reasonable costs for translation services users who need quick, flexible and quality translation solutions. This technological advantage, together with features like self-learning and automated, domain-based engine creation, plus a quality improvement with post-edited bilingual texts and automated input material have positioned Pangeanic as a key player in the (machine) translation tool arena, enabling the company to receive key funding for technology and company development. Pangeanic’s CEO, Manuel Herranz stated: “The opportunity provided by the Valencian Global Program and the investment for PangeaMT technologies marketing, can turn Pangeanic into a reference company in the language technologies landscape in Europe. We are very proud that our project demonstrates the importance of the language technology sector as a growth area in the Spanish and European economy. The program will begin in mid-October 2013.